This volume is the latest in a series of publications based on annual colloquia hosted by the Department of Egyptian (and now also Sudanese) Antiquities at the British Museum. Earlier volumes in the series, such as Egypt, The Aegean and the Levant published in 1995 and The Temple in Ancient Egypt published in 1997 have become core texts in their respective areas of interest. There has been a growing interest in the mechanics of Egyptian art in recent years, and Colour and Painting in Ancient Egypt should appeal to a diverse audience. However, although many of the twenty-three papers are both interesting and informative, potential purchasers should be aware that parts of this rather expensive book are very technical, with some articles concentrating on specific areas of current research in the science of paint and painting techniques. The first group of papers concentrates on technical and scientific identification of paint materials and application. Colinart lists the spectrum of yellow minerals which were available in the ancient Egyptian palette, Heywood discusses the white pigment huntite, Green looks at changes in ancient pigments, McCarthy describes analysis of paint on a New Kingdom coffin in the Smithsonian and Middleton and Humphrey report on their work on Middle Kingdom coffins as part of the wider British Museum project to investigate pigments on various groups of objects housed in their collection. Binders which were used to make the paint actually stick to surfaces, and varnishes sometimes painted on top are discussed in the next group of papers. Newman and Halpine identify plant gums and animal glues, and Serpico and White use an incredibly complicated new technique to identify pistacia resin. They also discuss implications of the importation from Syria/Palestine of large quantities of such resin during the New Kingdom. The second half of the volume where research is placed into a wider context will be more interesting to a wider audience, and includes contributions from familiar names from British Egyptology, including John Baines, Harry James, Geoffrey Martin, Stephen Quirke and Vivian Davies. Miller and Parkinson discuss the famous ‘fowling in the marshes’ scene from the tomb of Nebamun, with the recent discovery that the cat’s eye is gilded (covered with gold leaf) leading to an interesting discussion about the possible reasons for this. Weatherhead discusses scenes from Amarna, and makes the intriguing suggestion that some of the painte pavements from the site were executed in true fresco technique, in other words painted straight onto wet plaster. Robins describes the squared grid used to help in laying out scenes on walls, and comes to the conclusion that it was a technical aid rather than a rigid template. Bryan focuses on the decoration of the Theban tomb of Sueirmiwet, and uses a variety of analytic techniques to draw some fascinating and well-argued conclusions about the master draughtsman, regular artists and apprentices who decorated this tomb. The 20th Dynasty tomb of the Chief Workman Inherkhaw at Deir el Medina is discussed by Keller, who has studied the draughtsmen of this village for many years. She identifies the two artists as Nebriefer and Hormin, and discusses how to recognise the hand of each. Keller’s research is so detailed that she has obviously reached the stage of feeling as if these ancient craftsmen are her friends, yet she never crosses the line into conclusions unsupported by the evidence, and this is an very informative, well illustrated and lively paper. Bács describes another tomb probably decorated by the same Hormin, which demonstrates huge social climbing on the part of the owner Imiseba. Martin describes recently discovered New Kingdom wall paintings from the Memphite necropolis, Friedmann discusses wall paintings from early 18th dynasty tombs at Hierakonpolis, and James looks at the different techniques required when painting small scale vignettes on papyrus. Davies describes two more tombs from Hierakonpolis, including that of the 13th/17th Dynasty official Horemkhawef. The painters of the second tomb, Sedjemnetjeru and Ahmose, are actually depicted making offerings to the tomb owner. Davies also identifies the same artist Sedjemneijeru shown in the 17th Dynasty tomb of Sobeknakht at El Kab, which both links the two sites and highlights the existence of a ‘regional school’ of art during this period. In a long and detailed paper Baines discusses the colours used in the Seti I temple at Abydos, and draws fascinating conclusions particularly about the differences between pictures of ‘natural’ and ‘cosmic’ subjects, and the implications of colours chosen by the artists, especially either blue and black. Strudwick discusses in exhaustive detail the various ways in which Egyptian paintings can and should be recorded and published by the modern scholar. Symbolic importance of materials and colours are further discussed in papers by Atifrere, Taylor and Pinch, and the volume concludes with Quirke’s discussion of our understanding of the terms used by the Egyptians to define and describe colours. This is an informative and scholarly book with lavish colour illustrations accompanying many of the articles. 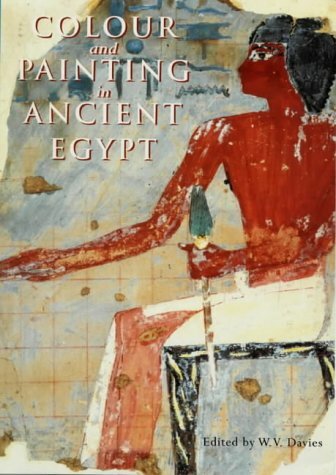 Although advances in scientific techniques and analysis happen at a sometimes bewildering rate, and therefore some of the material presented in this 1996 collection of papers has been superseded by more recent publications, this is a most useful book for anyone interested in specialist, technical aspects of Egyptian art. 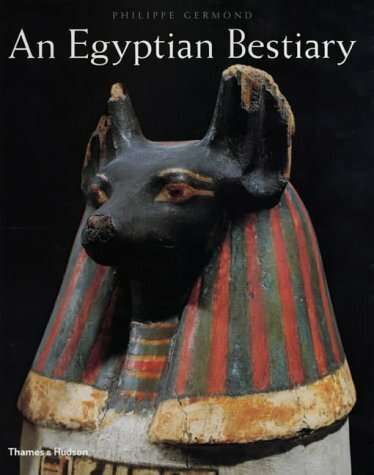 The first volume of Egyptian Treasures in Europe: 1,000 Highlights was favourably reviewed by Bob Partridge for ANCIENT EGYPT July/August 2000. A re-examination of the background to the CD ROM series may be useful before we consider volume 4: Liverpool. Egyptian Treasures in Europe is published by the Centre for Computer Aided and Egyptological Research (CCER), Utrecht University as part of the Champollion Project. The goal of the series is to provide access to a variety of information about the Egyptian collections of ten European museums. The CDs are meant to be of interest to the public as well as students and scholars of Egyptology. Each CD will offer 1,500 objects from a different European museum. In addition to Liverpool, the museums of Egyptian Treasures include: the Allard Pierson in Amsterdam, the KoninkliAe Museum/Museums of Art and History in Brussels, the National Museum of Ireland in Dublin, the Egyptian Museum of Florence, the Roemer and Pelizacus in Hildesheim, I’Institut de Papyrologie et d’Egyptologie in Lille, the National Museum of Archaeology in Lisbon, the National Museum of Archaeology in Madrid, and the Kunsthistorishes Museum in Vienna. The goals and standards for the sharing of automated Egyptological information are derived from Informatique et Egyptologie, a working group of the International Organisation of Egyptologists. The ultimate product of Informatique et Egyptologie was the Multilingual Egyptological Thesaurus, which was developed at CCER under the direction of Prof. Dr. Dirk van der Plas. The thesaurus is the ‘industry standard’ for museum documentation of ancient Egyptian collections, and not surprisingly, it is at the heart of the Egyptian Treasures series. All the participating museums have effectively selected the same information system and data base. This makes data sharing between the institutions seamless, with no language problems, and also allows for compatibility between all the volumes of the CD series. The groundbreaking Egyptian Treasures volumes are edited and co-ordinated by Prof. Dr. van der Plas, with funding from the European Commission and the Netherlands Organisation for Scientific Research. The Liverpool collection numbers 15,000 objects, thus those on the CD represent 10% of the total. The objects include art treasures as well as less spectacular objects derived from archaeology. Approximately 806 of the objects are unpublished, in the traditional sense. The museum’s Curator of Egyptian Antiquities participated in the selection of the objects, so we assume that the high percentage of unpublished objects were those most important to include. Since Liverpool is the first museum in the Egyptian Treasures series to be reviewed in ANCIENT EGYPT, it provides the opportunity to explain what the CD series offers and how it works. The primary feature of the CD is the textual and visual documentation of the objects, in the choice of seven European languages, with the capability to extract information by inquiry with the user-friendly Search Menu. To define a search, one category may be selected from each of the menu items: Object, Material, Period, Site. A pull-down menu for each category includes the option to SELECT ALL and choices specific to the category, as broadly defined in the Multilingual Egyptological Thesaurus. The Site selection is from a map of Egypt, and may be made at a regional level or for one specific site. A search may be refined narrowly by selection of specific values, such as jewellery, gold, Ptolemaic, Alexandria, or defined broadly, such as jewellery, gold, all periods, all sites. The menu includes the choice ,advanced mode’ for each category, intended principally for scholars and students. Advanced Mode enables the design of an extremely specific inquiry, as per classification and terms in the thesaurus. The Advanced Mode title is somewhat misleading, as it is limited to the most fine-tuned search - not a more all-embracing one. The order in which the objects of the search are displayed is by ascending inventory number. It is not possible to specify a different order of the objects when defining an inquiry. The objects from the search are displayed in a mosaic of thumbnail images. The image may be clicked on to reveal an enlarged view and all of the information. Many of the objects may be rotated to show the view from several sides. Textual documentation for the objects includes a description, information, with hieroglyphic transliteration and translation where available, the bibliography and ‘advanced’ information. The last option lists all of the data base entries recorded for the object, as recommended by the Multilingual Egyptological Thesaurus. At any point, the information or the images may be printed. The beauty of the Egyptian Treasures in Europe project is seen in ‘Themes’, a sophisticated yet easy-to-use refinement upon the basic search. A set of 8 pre-programmed topics, agreed upon by the participating museums, groups related classes of objects together. The themes include: Arts and Crafts, Jewellery and Amulets, Daily Life, Script, Life After Death, Personal Piety, Temple Cult, and Kingship. This means that the themes and the objects which relate to them will be available for each of the museum collections in the CD series. This feature is a short-cut to creating multiple individual searches. For example, selection of the Life After Death theme provides easy access to objects within all of the following subjects: Ba; False Door; Heart Scarab; Hathor; Funerary Cone; Tomb Equipment; Isis; Sons of Horus; Amset; Duamutef., Hepi; Qebehsenuf, Model; Mummy; Offering Table; Osiris; Ptali-Sokar-Osiris; and Stela. · Views of the display rooms of the Liverpool collection, where the viewer may move about the gallery. Zoom in on objects for closer examination. It is not, however, possible to call up the object and all its information by selection from this feature. · A ‘guided tour’ spoken commentary of 15 key objects from the collection. · A glossary of 400 Egyptological terms, which may be consulted directly from the menu, or by selecting highlighted words within an object description. · Panoramic ‘virtual reality’ views of sites in Egypt. The Egyptian Treasures in Europe collection of CDs is a reference tool quite different from conventional catalogues. The Liverpool volume provides a private slide show and a wealth of written commentary in more detail than a catalogue could, and at the same time it complements the catalogue Gifts of the Nile by Bienkowski and Tooley (1995). The inclusion of a high percentage of unpublished objects, and reproduction of information and drawings of objects which were destroyed during the Second World War are a real plus. In addition to private viewing of the objects, with the right audio visual equipment the images could be projected to offer a slide show, say for a lecture. It is useful to be able to print a colour view of the object for future reference or to include with an essay. For collections which do not have a catalogue, or for those viewers who may not read the European language of the museum catalogue, Egyptian Treasures is an indispensable primary tool. The virtual reality of views of the museum display rooms is interesting and shows the way the collection is displayed and organised. It is especially of interest to people who may be unable to visit the museum in person. Likewise, the panoramic views of the sites are interesting for veterans of travel in Egypt as well as for those who have yet to visit Egypt or the specific sites. As wonderful as the CD concept is, there are limitations to the searches. This would most likely be noted by the professional Egyptologist. But then again, Egyptian Treasures does not promise the capabilities of a full-blown museum documentation system. It offers more objects, information and explanatory information than it is currently possible to access from the average museum collection on the internet. The reviewer has much respect for the far-sighted planning behind the design of compatible data bases for all of the museums, which in turn made the design of the compatible CD series possible. Along with MacScribe and other innovative products, it is another success for CCER and the individual museums. The Liverpool CD is a wonderful, affordable addition to the library of those interested in Egyptology, which the reviewer wholeheartedly recommends. The CD will never replace the museum catalogue or documentation in books, but it is an invaluable addition. It will be interesting to learn how the entirely compatible CDs within the series may be used together for institution-wide searches. Equally, we look forward to the next volumes and in the long run, to the ‘next generation’ of Egyptian Treasures in Europe with enhanced capabilities. This volume is a typical product of the Thames & Hudson stable of Egyptology books; a lively beast, well turned-out, with a glossy coat. Or, to apply a bolt-gun to the head of what could easily become an irritating metaphor, it combines an authoritative yet accessible text with first class illustrations. It is divided into two roughly equal sections; the Secular World where human relations with animals are described, and the Sacred World. The latter, though subtitled ‘Animals as Representatives and Repositories of the Gods’, is effectively another aspect of human relationships with animals in the projection of divine attributes on animals as part of the natural world. It would, of course, be impossible to give equal space to each animal and bird known to the Egyptians and it would be easy for lovers of particular animals to find gaps (virtually no mention of ostriches!!). But this would be to miss the point. Germond’s specifically stated aim is not to produce an encyclopaedia of Egyptian fauna but to provide a coherent framework with which to look at this aspect of Egyptian culture. The selection of illustrations is excellent, with use of a broad chronological range from Predynastic to Mediaeval and all classes of material from animal-shaped trinkets to royally-commissioned statuary and temple walls. Most readers will find their favourite what-are-they-doing-in-that-tomb-scene here, be it weaning a piglet(?) from Kagemni or forcefeeding (?) hyenas from Mereruka. In a work so lavishly illustrated it is inevitable that at least one will be inaccurately captioned but, equally, it is the duty of the reviewer to point out this error to prove he has read the book – the food offerings on plate 75 are to be found on the wall of the Ramesses II cenotaph temple at Abydos rather than the tomb of Userhat. The lack of an index is irksome for readers wanting to look up less common animals (e.g. giraffes, not noted in the chapter listing and only traceable by scanning through text and illustrations), and a more detailed bibliography relating to specific subject sections (at the back of the book?) would have been very useful while not detracting from the over_ all appearance of the book. But, overall, this volume can be recommended as a treat for the eye and a rewarding read. The language and writing of the Ancient Egyptians never ceases to fill people with awe and wonder. The demand for courses to learn to read hieroglyphs, and the texts to translate rapidly thanks to some brilliant publications – ‘That-Black-Book-By-Manley and Collier’ being a particular favourite. As with many topics, specific areas are covered in detail by more than one book. Discussions of the signs by Wilkinson and Betro, translations by Lichtheim, Parkinson, Foster, Wente, MacDowell, Simpson and Faulkner, and ‘teach-yourself’ text books by Manley and Collier, Gardiner, and Allen (to mention just a few) are all readily available. However it is still hard to find a book that touches on everything briefly. 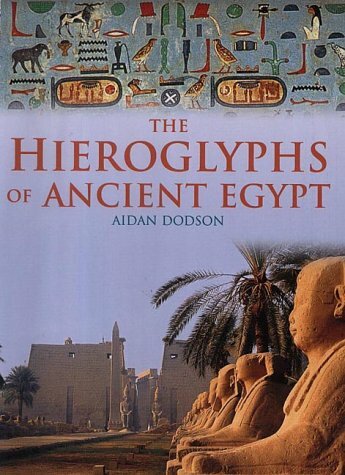 Filling this gap seems to be the aim of Aidan Dodson’s new book -The Hieroglyphs of Ancient Egypt. In the Introduction the author states that ‘This book is intended to explore some of the wide range of topics that surround Egyptian Hieroglyphs. It is not about how to read them ... It is intended to reveal what hieroglyphs meant to the ancient inhabitants of the Nile Valley’. Well, ‘some’ of the topics are covered. Chapter One ‘The Origins of Egyptian Language’ begins with a brief introduction to the geography of the Nile Valley and goes on to identify Naqada III pot marks from Urnin el-Qaab as the earliest manifestations of the hieroglyphic script. This moves into an introduction to the royal titulary, and official titles. Chapter Two discusses the related languages and scripts and includes a brief introduction to the translation and grammar of hieroglyphs. Chapter Three ‘Three Millennia of Writing’, covers some of the various forms of text - Autobiographies, Historical Inscriptions, Chronicles, Administrative Documents, Expedition Records, Wisdom and Philosophical texts, Stories and Medical and Magical texts. Chapter Four covers the loss of understanding of the scripts, and Chapter Five gives a very detailed account of the translation by Champollion and subsequent studies by people such as Lepsius and Erman. There is also a helpful list of ‘Where to see Hieroglyphs’ and a brief glossary of terms. It is a highly illustrated volume boasting many beautiful photographs, timelines, ‘quick reference’ pages, and some helpful tables. However, there are rather a lot of problems present in the book. On the page ‘The Texts of Burial’ there is barely a mention of the Pyramid Texts, and I was unable to find any discussion on the inherent ‘magical’ power of individual signs - surely something that was very important to the Ancient Egyptians? Chapter 2 ‘The Ancient Egyptian Language’ is the most confusing part of the book, attempting to address the basics of grammar on one page, and presenting an advanced table of hieratic variations on another. Sentences are frequently broken by the ‘quick reference’ pages, thus irritatingly breaking the flow of the text. The final chapters on the loss of knowledge and subsequent decipherment are by far the most detailed, I would have liked that level of discussion to have been introduced earlier. I also felt that a further reading list would have been very welcome. I would certainly recommend it to the interested tourist or beginner in Egyptology, but not to those hoping to carry out a serious study of the Hieroglyphs of Ancient Egypt.